You are viewing an incredibly rare piece of promotional material from Final Fantasy VII and Pepsi. 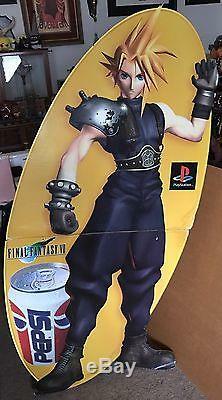 This Cloud Strife Standee is made from cardboard, and was a promo in collaboration with Pepsi for the original release of FF7 on PlayStation. For some curious reason, Pepsi removed Cloud's signature sword from all of their FFVII advertising, and can be seen in the promotional cups and the small tabletop version of this standee as well. This standee has been in my family's possession since its original use. It was on display at a movie theater, and was brought home once the theater was done with it. It was in storage for many years in the basement, until our house fire, when it received the water damage along the fold from the fire hoses. 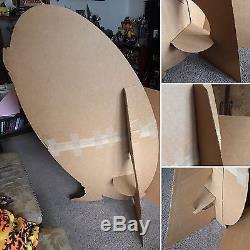 This standee is approximately 63 inches tall, and folds down the center for storage. The color is bright and vibrant, with no signs of fading. There is some discoloration around the center fold, and heavy wear and some wrinkling on the centerfold corners, as well as some curling toward the center, from the water that ran in to the basement during our fire (Image 3, 4, &5). The curling does not interfere with the standing or folding of the standee. 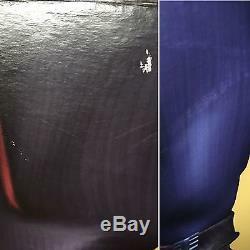 There are few small scuffs on the body of the image, causing a few white spots. The largest and most prominent are pictured above, on Cloud's left leg (image 6, left); the rest are insignificant enough that they don't interfere with the image. 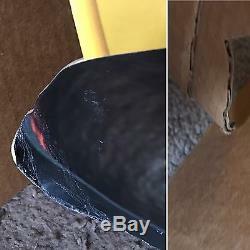 There are a few locations where the gloss coating, only, is scuffed (image 6, right); these do not affect the image or color, only its finish. 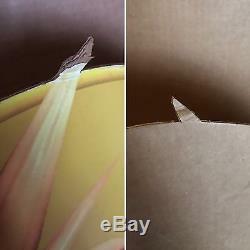 The edges of the standee do have some wear, with some knicks visible, along with the following areas of damage. Image 7: the tip of Cloud's hair, where it passes the edge of the background, is significantly bent, and 1/2 inch of the end is missing the color coating. 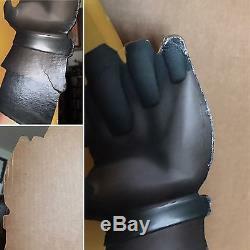 Image 8: the outside edges of Cloud's left glove have significant wear, and some bending inward. The crease on his pinky shows some white. Image 9: Cloud's right foot has some wear and forward curling on the tip, with some white showing in the curl creases. Image 10: Cloud's left foot is significantly bent and worn, due to the fact that the standee's construction puts most of its weight leaning on that foot. There are prominent creases and heavy curling on the toe, with some white showing in the creases. 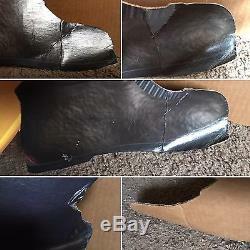 There is a dent in the edge of his upper boot that caused a small bit of wrinkling. The stand in the back is sturdy and sound, and the standee stands freely and well, however the design of the standee puts the stand far off the one side, causing Cloud to lean heavily to his left, curling his foot forward. Restoration: The original tape holding the top and bottom together dried out and has been carefully removed as much as possible and newly replaced. Some careful color touch-ups have been done around the edges to reduce the appearance of the white edge of the paper. No attempt has been made to touch up the discoloration or white spots in the body of the image. No attempt has been made to press the piece to flatten it, though I'm sure both could be done. At the bare minimum, I would recommend reinforcing the backs of Cloud's feet, or they may continue to curl and bend, and he may eventually no longer be able to stand. My personal recommendation would be to press it, and either frame it or mount it on a wall. 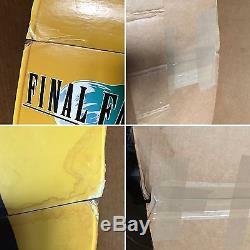 Don't miss this opportunity to own an impossible to find piece of Final Fantasy memorabilia! 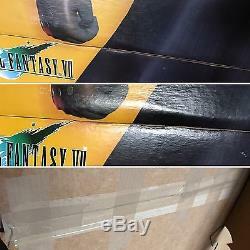 The item "RARE Cloud Strife Standee Display, Original Final Fantasy VII (FF 7)Promo, Pepsi" is in sale since Tuesday, May 23, 2017. This item is in the category "Collectibles\Animation Art & Characters\Japanese, Anime\Final Fantasy\Other Final Fantasy". 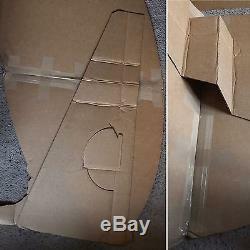 The seller is "ebonycurse666" and is located in Rockton, Illinois. This item can be shipped to United States.